More... Cali was a 1st premie at inspection! SOLD - Congratulations to Tessa in Alabama Nero's Homage (Omage) May 2003, Black, High Merit, Friesian/Thoroughbred-Percheron Gelding by Nero - $8,500. 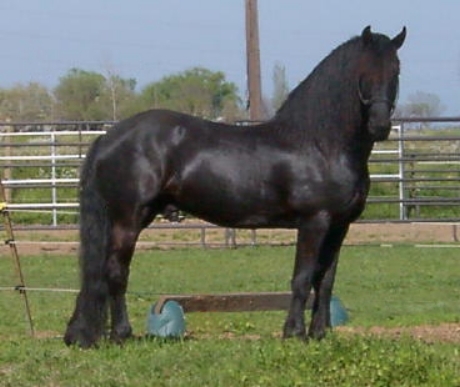 All of our sale horses of Friesian Heritage are registered with the Friesian Heritage Horse & Sporthorse International (HH). 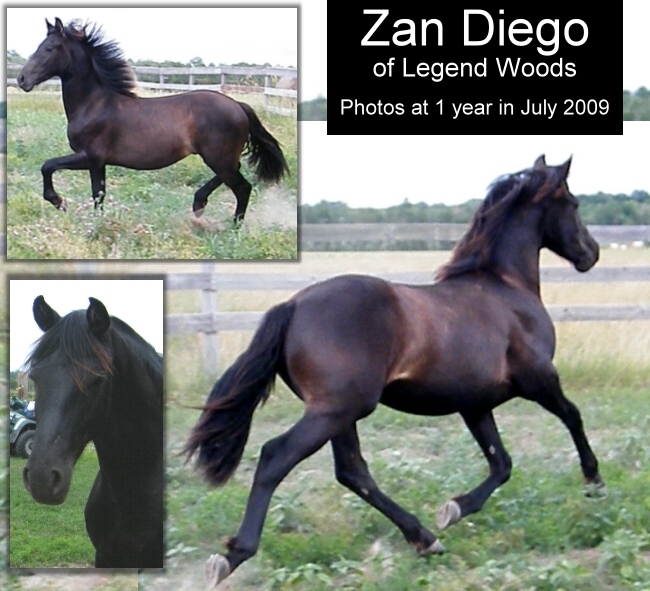 Some of our horses are also registered with the Friesian Sport Horse Registry (FSHR) and the Friesian Blood Horse Registry (FBHR). 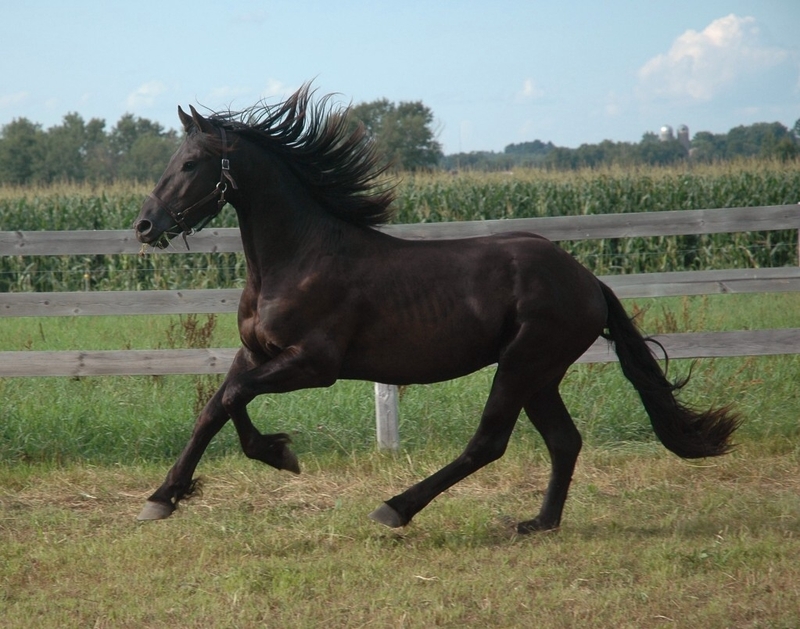 All horses of 25% documented Friesian Heritage, or more, are eligible for registration with the the Friesian Heritage Horse & Sporthorse International (HH) and the Friesian Sport Horse Registry (FSHR).